At home, all of us are biryani lovers. More over it is easy to prepare especially when you make biryani in pressure cooker with some ready made biryani masala, I think, it is most easiest one pot meal which everyone will love to have. 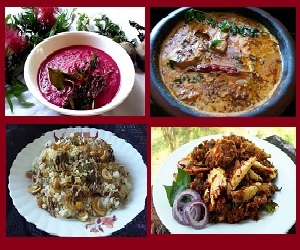 You can serve it with raita, or curd or with any other side dish. Here I have made biryani with home made biryani masala. You can also make use of store bought biryani masala to make this dish. 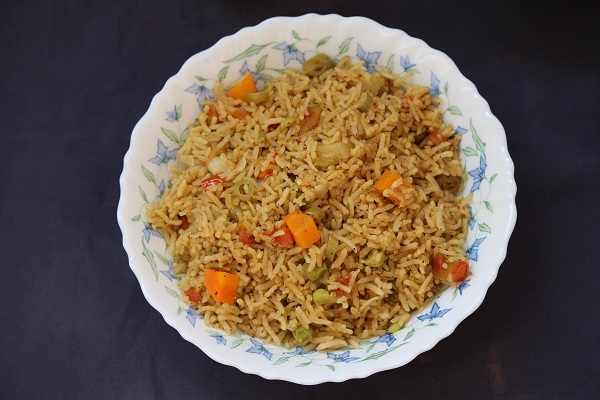 Though there are various ways to prepare biryani, like dum biryani and so on, here I have used the easiest method – pressure cooker. Making biryani in pressure cooker is very easy. First grind the ingredients for masala. 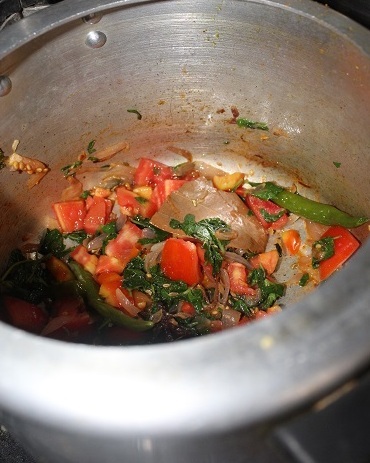 Then in a pressure cooker, saute onion, the ground masala, biryani masala powder, tomatoes. Once sauteed well, add chopped veggies and soaked rice. Pressure cook in low flame for 10 minutes. Ready! Isn’t it easy? Now take a look at the recipe..
1. Clean, wash and soak rice in water for 30 minutes. 2. In a blender add the ingredients for grinding and grind to a smooth paste. 3. 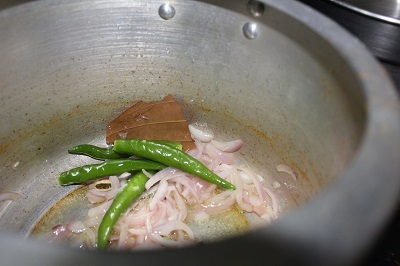 Heat oil and ghee in a pressure cooker. 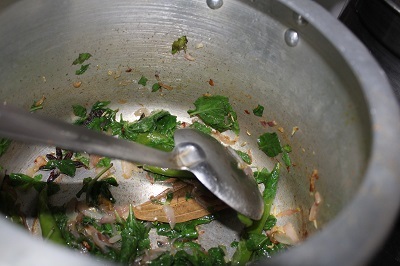 Add bay leaf, and fry for few seconds. 4. Next, add the sliced onion and sauté till it becomes brownish in color. 5. Next, add green chillies and biryani masala and salt. Then add ground masala, and sauté again for some time till raw smell goes off. 6. Add chopped tomatoes and sauté till it becomes mushy. 7. Add the chopped vegetables and mix well. 8. Next add soaked drained rice and 3 cups of water. Mix well. Add salt. 9. 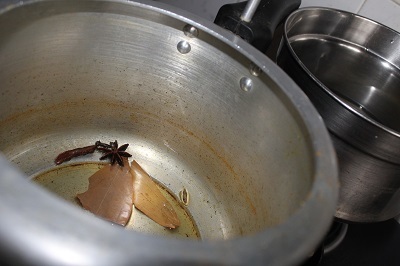 Cover the pressure cooker and in low flame cook for 10 minutes. 10. Once the pressure subsides, open the lid, fluff the rice with a fork and serve with raita.